City officials are taking aim at bad landlords. Administrative staff presented a plan for a new code at a council work session Monday that, if passed, would give the city the right to enforce safety standards in apartments. Currently, the city can address items placed in the public right of way or vegetation disrupting the right of way. Andrews said the city lacks a housing code that addresses conditions on the inside of a home. “We’ve received complaints from renters that don’t have heat, roofs leaking, unsafe conditions in the house,” Andrews said. 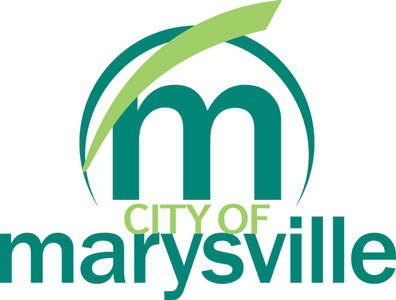 The new code would be based off the International Property Maintenance Code (IPMC), which is put together by the International Code Council, of which Marysville is a member. The IPMC has minimum requirements for interior conditions at apartments. “So if we get a complaint from a tenant that says, ‘My landlord won’t fix X,’ we can say it has to be repaired in an approved way,” Andrews said. Andrews noted the IPMC is flexible, and can be tailored to the city’s specific needs. Andrews said the complaint has to come from someone who has a legal right to occupy the house or apartment. Andrews also told council about a proposed system that would force landlords with rental space to submit to an inspection every two years or at the change of a tenant to ensure safety. Landowners would have to pay a price for the inspections: $100 for a single-family rental, $150 for a two-family rental, $200 for a three-family rental and $250 for a four-family rental. For apartments with four or more units, it’s $200 plus $50 for every four-family unit. Council members expressed concern that inspections every other year could be hard on landlords who have not had any complaints. Councilperson Nevin Taylor said he’d rather have the city only go after landlords who have had valid complaints levied against them. “I don’t want to punish the good landowners out there,” Taylor said. He also expressed a concern that apartments might increase their rates if a new monetary burden is placed upon them. Emery agreed, and said the new code would be targeted toward landowners who don’t keep their properties in good shape. He said hopefully, this code causes a shift in apartment ownership. “What they’re going to see now is it’s not worth their while to own this property anymore, they’re going to sell it, and somebody’s going to buy it who will know the new rules, and they’re going to fix it accordingly,” Emery said. Councilperson Deborah Groat said she believes the code will be a public relations problem. She mirrored Taylor’s concerns of increased rental prices. Andrews said the city is also considering revising its nuisance abatement code, which targets various health hazards on offending properties. The code targets hazards like crumbling buildings and overt disrepair. The police department handles the city’s current nuisance abatement code. City Law Director Tim Aslaner said currently, the city has to file a complaint with the court, then have the fire chief or someone from the health department declare the offense a nuisance. The court then directs the offender to fix the violation. “That does take a while, and that’s pretty cumbersome,” Aslaner said. The new code would more clearly define a public nuisance, and the process would shift to the board of zoning appeals. Under the new code, if the city gets a report of a damaged building, and the city would notify the property owner, telling them to fix the hazard. If they failed to do so, the city would tell them they have the right to appeal. If they don’t appeal, the city would remove the hazard and assess the cost after. Emery said officials would bring legislation back next year to potentially pass the code in the spring. He said in the meantime, officials will continue reviewing the proposal. “We can look at the rental permit inspection program from a different angle,” Emery said.